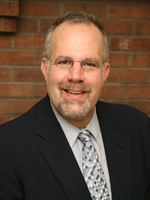 Dr. Vaeth is a graduate of the University of Maryland School of Medicine. He completed his residency in psychiatry at the Sheppard Pratt Hospital. He is a diplomat of the American Board of Psychiatry and Neurology in general psychiatry and is further qualified in adolescent psychiatry by the American Board of Adolescent Psychiatry. He has served nearly 15 years as a full time adult and adolescent psychiatrist in the Sheppard Pratt Health System and proudly continues this association performing urgent psychiatric assessments and electroconvulsive therapy (ECT). Experiences have included inpatient and outpatient care with interests in psychopharmacotherapy, adolescent psychiatry, women’s mental health issues, compulsive gambling, and brain stimulation techniques (ECT, VNS & TMS) in the treatment of resistant mood disorders. In addition, Dr. Vaeth has a commitment media and public relations believing that the understanding of psychiatry and human behavior by the general public can serve to de-mystify the profession and those who seek its benefits. If you are interested in an appointment, or have additional questions, please do not hesitate to contact us.